When we talk about frog diversity, we always mention how many species there are, or how they are found all over the world. We say how much frogs vary in size, or how colorful they can be. This is all true: there are more than 4,900 frog species, found on every continent, ranging from ½-inch long to more than a foot, that come in every color of the rainbow. It makes sense, then, that frogs are just as diverse during their other stages of the life cycle. 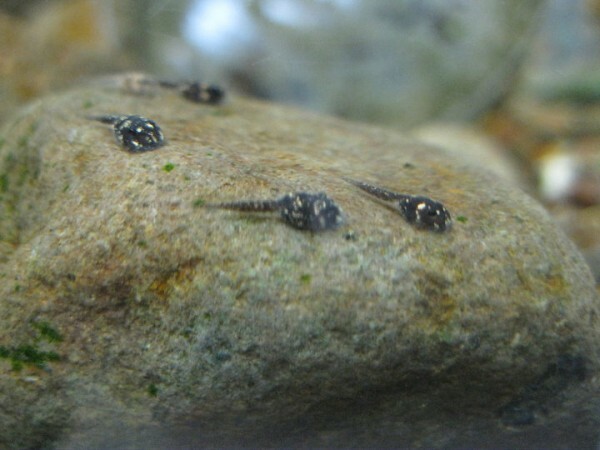 Tadpoles, in fact, are among the most diverse vertebrates on Earth and are themselves morphologically and behaviorally unique from their adult counterparts. Depending on the species, tadpoles can stay in the larval stage from eight days to two years, and vary in length from 1 to 4 inches. Overall, there is greater tadpole diversity in the tropics, but variations occur within habitats, as well. Even tadpoles with the same feeding habits can have diverse mouth shapes or behaviors. For example, tadpoles of the Asian horned frog (Megophrys montana) have an upturned mouth because they eat from the surface. 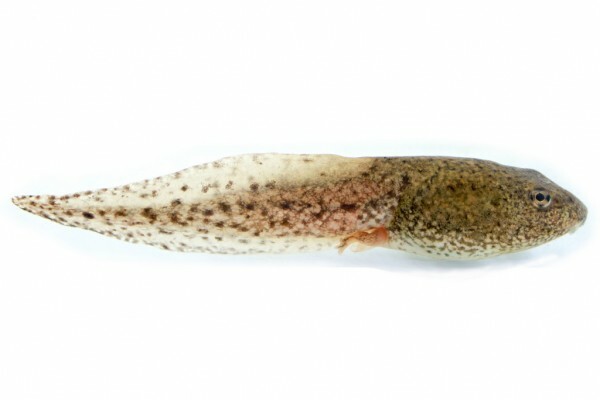 Recently, however, scientists have observed a Honduran tadpole called Duellmanohyla soralia that also eats from the surface, but has a mouth in the more traditional spot. Instead, the Duellmanohyla soralia turns its body upside-down to reach the surface. These variations show how tadpoles’ features are shaped largely by their surrounding environments. For example, tadpoles seem especially good at responding to strong predator presence. Over time tadpoles can grow their tails longer and deeper if there are numerous predators, allowing them to swim faster and look bigger. 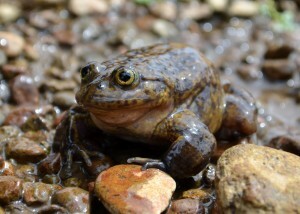 For European common frog (Rana temporaria) tadpoles, longer tails increase their chances of escape from predators up to 30 percent, according to the Institute of Zoology. Like tail length, other adaptations can protect tadpoles from being eaten. While the majority of tadpole species have brown or faded coloration, several are multicolored. Contrary to its name, Cope’s gray tree frog (Hyla chrysoscelis) tadpoles grow red tails in response to the presence of dragonflies. Called aposematism, vibrant colors make these tadpoles appear larger or distasteful to their predators. Researchers have only recently discovered other survival mechanisms that tadpoles have developed. In 2006, scientists discovered that if attacked, red-eyed tree frog (Agalychnis callidryas) embryos can hatch themselves within seconds and escape into the water below. These embryos can interpret vibrations on the water with astonishing precision. Other recent research has looked at tadpole sensory input, such as smell and sound. In 2009, researchers at the University of California Davis determined that wood frog (Rana sylvatica) tadpoles can “smell” their primary predator, the salamander. The “odor” of a salamander in the water caused tadpoles to freeze. The strength of the scent determined how long the tadpoles remained still. In 2010, Dr. Guillermo Natale discovered the first evidence of aural larva communication. Natale heard tadpoles of the Bell’s horned frog (Ceratophrys ornate) “screaming” underwater when a threat was present. New and unpredictable tadpole discoveries continue to go on worldwide. For example, biologists at the Australian Museum in Sydney recently discovered that tadpoles of the vampire flying frog (Rhacophorus vampyrus) have small black fangs, instead of traditional mouthparts. In general, scientists estimate that more than 1,000 frog species have yet to be discovered, not to mention all the intricacies of their life stages. Tadpoles are also essential for understanding the dramatic decline in frog populations. Chytrid, the epidemic that has affected 30 percent of the world’s amphibian population, is the lead cause of this decline. In tadpoles, chytrid only infects the keratin around their mouths. However, as they metamorphose into frogs, chytrid fatally spreads throughout their bodies. By studying tadpoles, we can better understand how frogs contract and carry chytrid. “When frog species are disappearing like they are, you would want to know what’s going on at each stage of the life cycle, egg to larva to juvenile to adult–everything,” McDiarmid says. For the Panama Amphibian Rescue and Conservation Project, every tadpole means the chance for a species to survive. 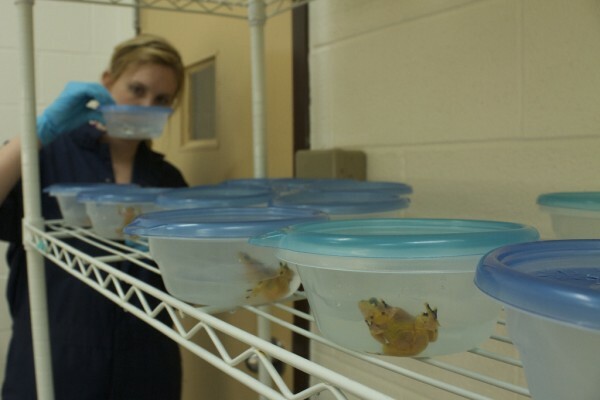 But because many of the rescue project’s priority species have never been kept or bred in captivity before, rearing tadpoles can mean a steep learning curve. We usually think of bacteria as bad for us, but that isn’t always the case. For us humans, the most common examples of helpful bacteria, or probiotics, live in yogurt. 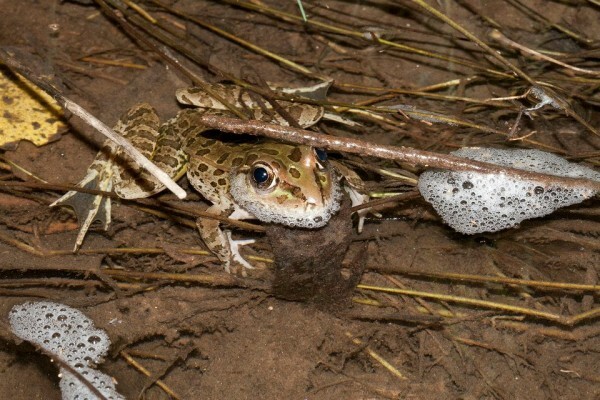 Now, scientists believe amphibian probiotics may be the key to fighting chytridiomycosis, the fungal disease devastating frogs around the world. The first step is to find a probiotic that will stick to the golden frogs. 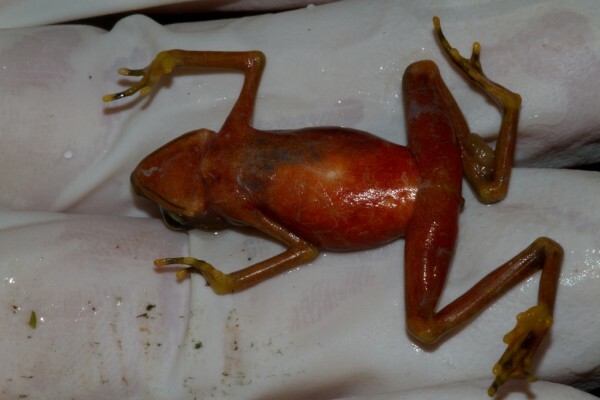 In early December, the team began giving golden frogs baths using four different types of bacteria. 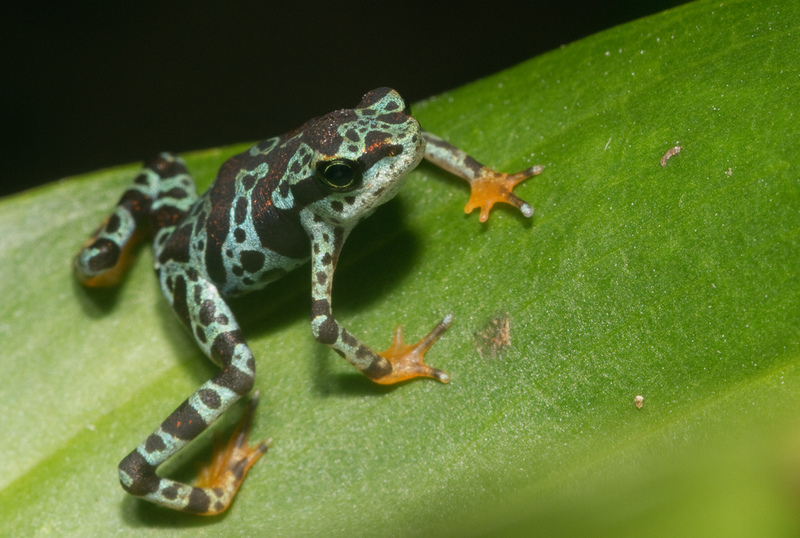 Researchers gathered the potential probiotics from frogs in Panama in 2009. The finalists were chosen based on their ability to prevent chytrid growth in lab tests, with a preference for bacteria that are common in close relatives of Panamanian golden frogs. Every two weeks, each frog is swabbed to check whether its probiotic has made itself at home. The tests take some time, so a month and a half in, the team is still waiting for results to see which probiotics are sticking. 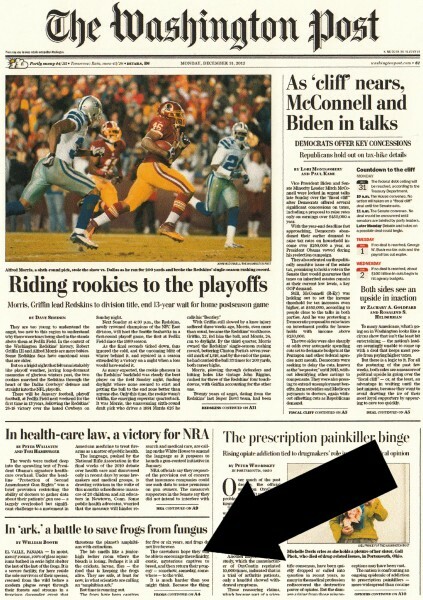 But they do have some good news already. “The bacteria haven’t been causing any problems with the frogs and they all look healthy,” said Gratwicke, who emphasizes how important it is to use only beneficial bacteria. 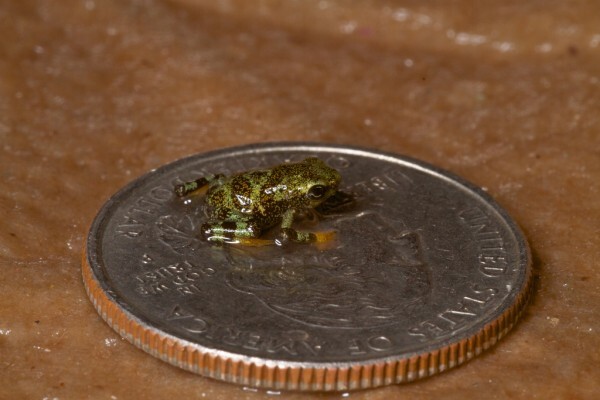 In addition to tracking weight gain and other visible characteristics, Shawna Cikanek, a student at Kansas State College of Veterinary Medicine is using frog poop to study stress hormones to get a better picture of the animals’ overall health and whether the bacteria are causing any stress. 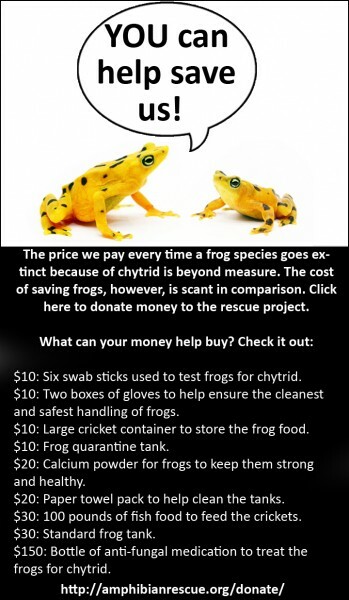 The probiotics that stick to the frogs for a full three months will move on to the next round of tests, when bacteria-shielded frogs will be infected with chytrid to check for any adverse effects. “Hopefully, the bacteria are going to do their thing and protect these little guys,” said Matt Becker, a PhD candidate from Virginia Tech who is conducting the experiment. Whatever probiotics make the cut will be tested again on golden frogs bred in Panama before scientists develop a final plan. 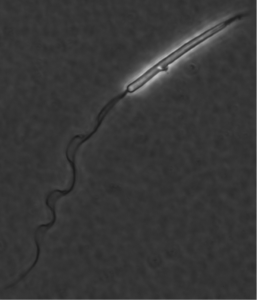 So far, chytrid has defied attempts to stop it. Scientists may be able to selectively breed frogs resistant to chytrid, but there has been very little work done so far in that direction. But there are high hopes for probiotics’ potential to protect frogs. “It’s a long shot, but it’s our best shot,” said Gratwicke. Imagine measuring the tail of a squirmy, inch-long tadpole. Now imagine doing that where the air is thin enough to make you dizzy, a hail storm is about to start and you just spent 45 minutes up to your elbows in a freezing cold stream. 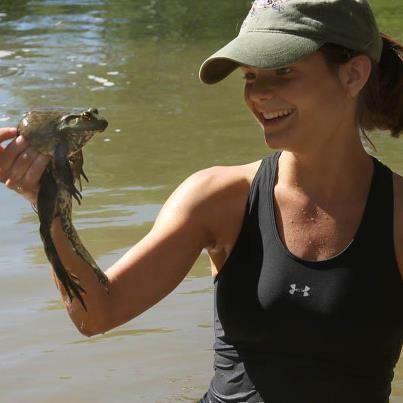 Last December, Jessica Deichmann, a research scientist with the Smithsonian Conservation Biology Institute, and Ed Smith, a biologist at the Smithsonian’s National Zoo’s Amazonia Exhibit, spent two weeks doing just that to complete a survey of the Acancocha water frog (Telmatobius jelskii). They were participating in a frog surveying trip for SCBI’s Center for Conservation Education and Sustainability’s Peruvian Biodiversity Monitoring and Assessment Program (BMAP). The program lends Smithsonian scientific expertise to gas and oil companies to assess the effects of development projects on local plants and animals. This information is used to improve restoration work, and reduce environmental impacts of future development. This was the third survey along the path of a natural gas pipeline constructed in 2009 that runs from the Amazon over the Andes to the Pacific Ocean—about 250 miles. The Acancocha water frog is found only in the cold clear streams of the high-elevation Peruvian Andes. The frog is one of about 40 species researchers are surveying around the construction of this particular pipeline. Scientists chose this species because although historically it has been fairly abundant, it lives in a relatively small area with precise habitat requirements. When individuals of a species are clustered together, it’s easier to lose the entire species. “You always worry about frogs with small geographic ranges—not just frogs, but any species,” Deichmann said. 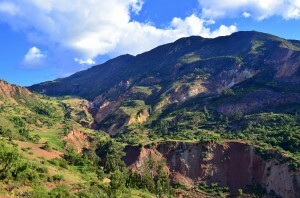 When you think of the Peruvian Andes, you probably think of Macchu Picchu, a lush green mountainside where, as Smith jokes, “if you sit too long you have orchids growing on you.” Smith and Deichmann, however, were in a very different ecosystem called puna and sometimes nicknamed equatorial tundra. Puna is found high in the Andes, where trees no longer grow, rain is scarce, and nights are freezing. The team spent much of its time about 15,000 feet above sea level, where the air is so thin that breathing is hard until you get used to it. “For us lowland landlubbers, that alone was an exhausting business,” Smith said. 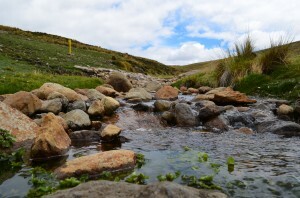 The team—Deichmann, Smith and two Peruvian biologists—took samples at twelve sites where the pipeline crosses mountain streams. At each site, they spent about 45 minutes upstream, elbow-deep, feeling for frogs and tadpoles. For each tadpole, first, the team swabbed its mouth for a sample for chytrid testing. The team also recorded the tadpole’s body length, tail length, mass, and developmental stage, and photographed each sample before the animal was returned to the stream. They also took measurements of the stream itself. Then the team repeated the whole process downstream of the pipeline. Any one site could take five or six hours. The team hasn’t processed the data yet, but their initial measurements suggest some good news: so far, they have seen no obvious effects as a result of the pipeline. However, although the team found hundreds of tadpoles, they found only 10 adult frogs in all the sample areas. Unfortunately, that suggests chytrid is playing a role in shaping the population structure. The skin fungus follows skin keratin proteins, the amphibian equivalents of those found in human skin calluses, hair and nails. Tadpoles usually survive chytrid infection because they have keratin only around their mouths. As they develop their keratin “suit of armor,” frogs are left vulnerable to the disease that has decimated them in less than half a century. “From metamorphosis, something called the ‘chytrid clock’ starts ticking,” Smith said. In adults, “chytrid interferes with water balance, usually in a lethal way.” Because of this, chytrid-struck populations often consist of many tadpoles and a few adults. And according to the previous surveys, “at pretty much all the sites where frogs and tadpoles were present, chytrid was present,” Deichmann said. But until they have the results from lab tests on the mouth swabs the team took, they won’t have the full picture about how the disease is affecting these populations. And chytrid isn’t the only danger these frogs face. “In a lot of our streams we were, not surprisingly but disappointingly, finding trout,” an invasive predator, Smith said. Deichmann and Smith agree that the data they collected will be useful for conservation efforts. “Monitoring populations now gives us a baseline without which we can never know what’s changed,” Smith said. The team has a tentative follow-up survey scheduled for the dry season of 2012, during the northern hemisphere’s summer. Deichmann hopes that the data from this December’s trip will allow the program to modify the survey protocol to make sure future trips are gathering the most helpful data possible. The global amphibian trade has been indicted as the culprit in the spread of the deadly chytrid fungus. A study published in New Scientist calls for an amphibian quarantine to help slow the disease’s spread. The study sequenced the genomes of 20 samples of Bd, collected in Europe, Africa, North and South America and Australia. They found that 16 of the 20 samples were genetically identical. The researchers say the explanation for this is simple, that world-wide trade in amphibians enabled the spread of this disease. The researchers suggest that countries quarantine all imported amphibians and only allow them to stay if they are not infected. 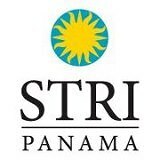 Defenders of Wildlife, a partner in the Panamanian Amphibian Rescue and Conservation Project, has submitted a proposal to the U.S. Fish and Wildlife Service to ban the importation of live frogs unless they are accompanied by a health certificate verifying that they are free of the chytrid fungus. “Billions of frogs are traded internationally each year for human consumption, and that industry is responsible for depleting wild populations, spreading deadly disease, and allowing invasive species to destroy the health of native ecosystems,” said Alejandra Goyenechea, counsel for the international conservation programs for Defenders of Wildlife. Defenders is working with the upcoming CITES Animals Committee to ensure that the international trade of frogs is not detrimental to their survival and with CITES Parties to bring awareness on the international trade of frog legs with our report.